Enhance your officers' safety and productivity while maximizing your department's revenue. 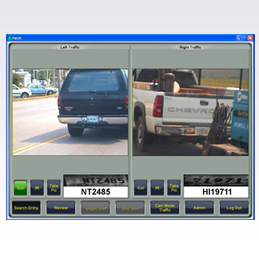 Automatic License Plate Recognition (ALPR) delivers the ability to read vehicle license plates and check them against an installed database for rapid identity verification. The system has been used to locate stolen or wanted vehicles and identify parking-ticket scofflaws. This rapidly deployable, scalable solution uses rugged infrared cameras that connect to leading-edge optical character recognition (OCR) technology software, allowing you to conduct surveillance under varied lighting and weather conditions. Captured information is immediately processed, and you are alerted only when a "hit" occurs. Database formatting including ability to customize PAGIS screens and alarms based on system "hits"